Although the Jaffna man’s mind is preoccupied with money and matrimony, yet the thing that he treasures most above everything else is education and scholarship. For a Jaffna man, it’s the books, and not dogs, that are his best friends. He would pay more attention to a good book than to his dissatisfied wife. Books keep him company both in times of happiness and distress. They are one of the main sources of his knowledge. The best and inexpensive place for easy access to books has always been the library. Within a square mile of where I lived in Jaffna, there were six churches, six colleges, six cinemas and just one Public Library to indoctrinate, educate, entertain and enlighten us. The Jaffna library represented the single greatest archive and a veritable treasure house of accumulated knowledge. The origins of the Jaffna library can be traced to the generosity and foresightedness of a book lover named K.M. Chellappah who in 1933 began sharing the collection of his books among friends and fellow men with the view to enhancing their knowledge. This generous gesture was highly appreciated by the local community which then decided to build a proper library. A committee headed by the then District Judge as Chairman, Rev. Dr. Isaac Thambiah as Vice-chairman, and K.M. Chellappah & C. Ponnambalam as Joint Secretaries was formed on June 9, 1934. The committee decided to collect or buy as many ancient ola leaf manuscripts as possible from the villages of Jaffna and other areas where Tamil culture thrived. The embryonic Jaffna library was opened on August 1, 1934 with a collection of just 844 books and about 30 magazines and newspapers in a small room at Hospital Road, opposite the present electrical sub-station. From here the library was moved to a rented house on Main Street near the Town Hall in 1936. Books could be borrowed on a payment of a nominal sum of Rs. 3 as membership fee. It had a starting capital of Rs. 1,184 and 22 cents largely from the efforts of Mr. Chellappah. The Jaffna library became hugely popular among the people, both young and old. Nothing succeeds like success and there was a clamour for a much larger and a more permanent library to cater to the insatiable appetite of the Jaffna man. At a meeting convened by the first Mayor of Jaffna, Sam Sabapathy it was decided to hold a carnival and a music festival featuring some of the most popular Indian artistes to raise funds for the library. It was a huge success. One of the leading and most active members of this committee was none other than that indomitable Irishman, Rev. Fr. Timothy M.F. Long, Rector of my Alma Mater, St. Patrick’s College, Jaffna. He was so efficient that the only difference between him and a saint was that he delivered miracles faster. Fr. Long worked tirelessly to obtain funds for the library. He even asked that famous cartoonist of that time, Collette to do a sketch of him with a begging bowl! The one million rupee Library fund was entirely Fr. Long’s idea. I was just eight years of age and I remember well the fabulous Yarl Vinotha Carnival that was held in 1952 to raise funds. It was a great success and brought in Rs. 68,000 – a huge sum then – for the Library fund. Fr. Long then went into top gear and became the unelected advocate for the library. He started knocking on the doors of several influential people such as the then American Ambassador, Mr. Philip K. Crowe and the then British High Commissioner, Sir Cecil Sayers who provided funds generously. Thanks to the irresistible charm of Fr. Long, Mr. W.G.F. Gunstone of that famous publishers of London, W.H. Smith & Son, undertook to supply books at special discount varying from 25 cents to 50 cents. The Asia Foundation donated lots of books. The library committee invited the leading specialist in Library Science, Prof. S.R. Ranganathan from Delhi to develop the library to international standards, and for that well known authority of Dravidian architecture and the then architect to the Madras Government, V.M. Narasimhan to design it. The foundation stone was laid on March 29, 1953. It was a red-letter day for everyone in Jaffna. In the meantime, Fr. Long was working overtime. He was able to secure for my late father, Mr. S.F. Santiapillai who taught Latin (for the seminarists) and English at St. Patrick’s College, a Fulbright Scholarship in 1955 that enabled him to go to the Cuyahoga County Public Library in Cleveland, Ohio (USA) for advanced training in library science. In recognition of the untiring efforts of Fr. Long, the grateful public honoured him by erecting his statue in front of the library. With the completion of the first stage, the Jaffna Public Library was declared open on 11 October 1959 by the then Mayor, Alfred Thuraiappah. Later a Children’s section was opened on 3 November 1967. Under normal circumstances, it’d be very difficult to keep a Jaffna man quiet, but inside the library, the staff saw to it that he kept his mouth shut and read. The librarians were strict but helpful and knowledgeable. They looked after their books with great devotion. There were about 97,000 books and over 10,000 manuscripts. Some of the books were priceless. In particular, “Yalpana Vaipava Malai” written by the Tamil poet Mayilvagana Pulavar in 1736 was irreplaceable since the library had just one copy! In addition, the library had in its collections, several old manuscripts, some of which were written on dried palm leaves and stored meticulously in special sandalwood boxes. There were also hard to replace books on herbal medicine, miniature editions of the Ramayana epic, copies of the now extinct Tamil language newspapers, microfilms of the Christian Missionary journal “The Morning Star” published in the early 20th century. Thus, as a repository of knowledge, culture and history, the Public Library came to represent the pride and dignity of the Jaffna people. On the night of 31 May 1981, while Jaffna slept, all these precious collections were consigned to the flames when the Jaffna Public library was set on fire by a few misguided individuals who could not realize that what they were destroying was a part of their own heritage as well. It is this failure to appreciate the fact that the Jaffna library was a national treasure that belonged to everyone in the country that led to this tragedy. Before the Jaffna people could wake up and realize the horror of their loss, the entire nation had lost much of its ancient history, literature and learning. That night one of our distinguished teachers at St Patrick’s College, and a well-respected linguist, Rev. Dr. H. S. David died of a heart attack on being informed of the terrible tragedy. On hearing of the infamous literary bonfire, Fr. T.M.F. Long who worked so tirelessly and contributed so much to establish the Jaffna Library reacted with intense grief and suffered a heart attack and died a broken man in Australia. 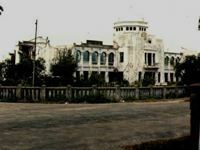 The destruction of the Jaffna library stunned the nation, but it also broke the cultural heart of the people of Jaffna.